You've heard of Johnny Appleseed? In the last few months I've been morphing into Robin Papayaseed, or perhaps I should say that the leaves have been breaking the surface, since the roots have been growing for a couple of years already. In 2008 I first heard the Papayas' call to account. Did I like ripe papayas? A lot. How many had I eaten in my life? A lot. How many had I planted? None. As I get longer in the tooth, I start to think about what we are leaving for following generations. Or is it the effect of my campaign to encourage people to ignore money that called me to an account beyond money? Either way, I planted a few dozen in December 2008, and the next year resolved to plant all the viable seeds in the fruit that I ate, as the least I could do towards a more fruitful world. Returning to the original spot in December 2009, I was encouraged to see that they had already fruited and some were over 2 metres high! The day before I left Bangladesh for Europe last December, I planted hundreds of seeds, mainly papaya, sobeda and banana. in a combined guerilla gardening effort and gesture of commitment to the land. 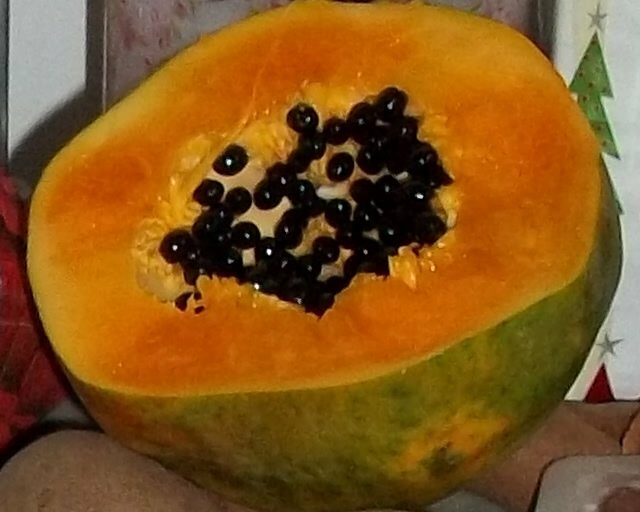 In the last couple of months, I've got to know my neighbourhood from a new perspective, having planted thousands of papaya seeds. The more sunlight the better. They start yielding in less than 9 months. They can grow up to about 5 metres, but have very shallow, soft roots, so they are vulnerable to wind. The roots rot if they are in permanent contact with excess water. Their sap makes them unpalatable to cows, goats and other animals. Males yield little (long) fruit, with fewer seeds. Females yield the sweetest, ball-shaped fruit. Hermaphrodites yield pear shaped fruit. They can be planted a centimetre or so down, but can also just be dropped onto soil. They are extremely well suited to guerilla gardening, especially since they can be planted right next to existing buildings without concern that they may damage them. Are they likely to get trodden on? How high will the water come up in the monsoon season? How much wind protection will they get? Is there ongoing building work? i.e. Will that plot still be earth in 6 months' time? Will they create a problem for anyone when they grow? What else is growing nearby? How well? Is anyone else cultivating this land? Is the land already waterlogged? Is the land polluted or likely to become so? Evaluating the necessary considerations often requires subsidiary skills such as reading notices or applying local cultural knowledge, so it's a subtle and task with endlessly variations - to say nothing of the fact that the way in which one plants them and subsequent comments will affect how the locals will treat the young plants. Dhaka is a city of walled plots, since building a boundary wall is the first step towards claiming ownership, often carried out prior to getting land deeds. The ideal place for planting is just in front of a whitewashed south facing wall, on slightly raised otherwise unused land, behind an impenetrable but translucent boundary, such as a barbed wire fence. 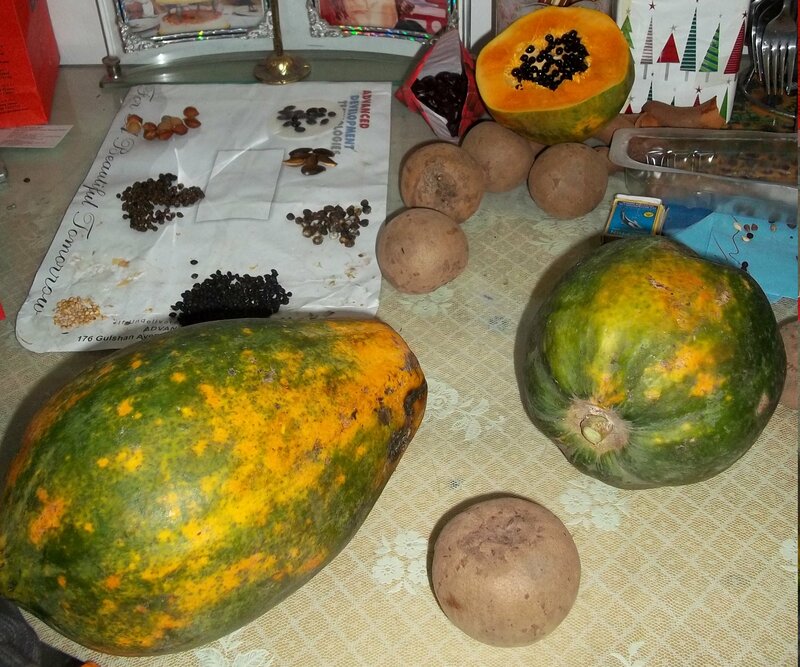 Here the papaya will get protection from people, wind, and standing water, and a maximum of sun.